After looking thoroughly into the allegations, Greek Reporter confirms that three of the closest members of Trump’s inner circle are of Greek origin and have visited Greece multiple times. The source says that an official announcement will follow on Monday about what he calls “the most powerful Greek group at the White House since the Spiro Agnew era.” Spiro Agnew was a Greek-American politician who served as the 39th Vice President of the United States from 1969 to 1973, under President Richard Nixon. 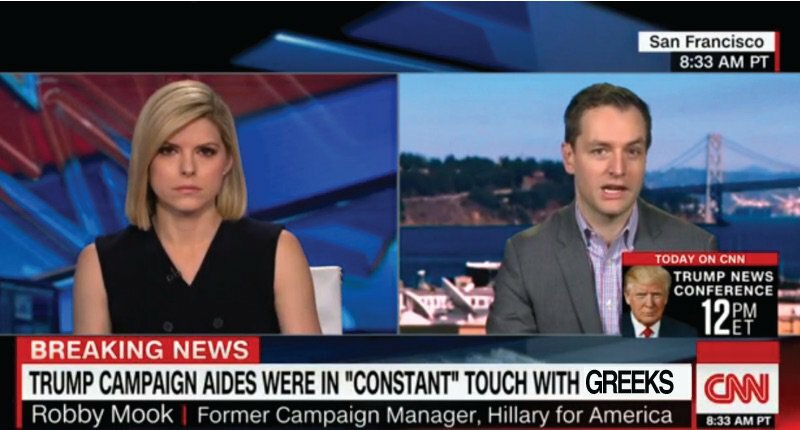 This morning CNN also reported that the real fist name of the White House chief of Staff Reince Proebus is Heraklis and that he is also known in Greece with that first name. GreekReporter has obtained exclusively documents with the Priebus family tree indicating that his grandmother was Greek. Priebus has also traveled to Greece more than twenty times, being introduced to the ideas of the Greeks since he was a teenager. “He always wanted to pass as a Greek and this is why he was trying to improve his accent in Greek and always ordered a gyro with extra tzatziki sauce – like the locals,” said a Greek childhood friend of Reince Priebus. It is unclear if, and how many times the White House chief of staff was in contact with Greek officials before the election. The notorious Greek Defence Minister and the DNCAnother Greek that works in the White House who has also been named Trump’s other “Greek connection” is George Gigikos. The special missions man of the president who is also the Director of Advance at the White House is also of Greek descent and played a major role on Trump’s win. However, what Americans don’t know is the close relationship of Gigicos with the notorious Greek minister of defense Panos Kammenos. Gigicos, whose last name means cicada in Greek, was also the man that introduced Kamenos to Priebus in Greece over Ouzo many years ago. 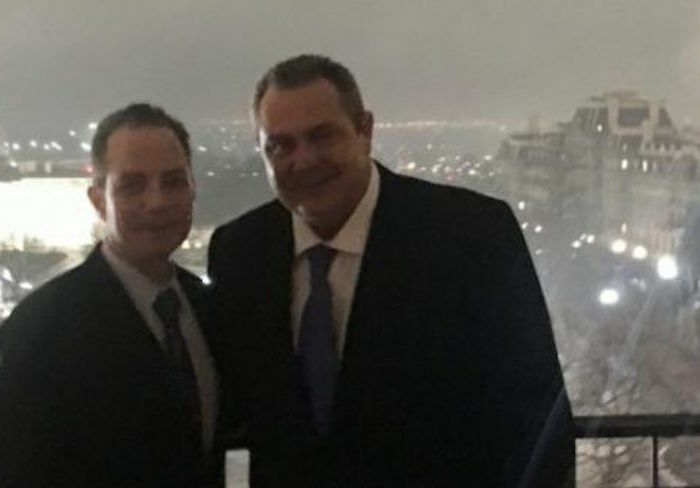 Greek Reporter has obtained a photo taken on US soil that shows Priebus together with the Greek minister. It is worth noting that this photo was taken by George Gigicos himself last year. Alarming reports in Greek media have connected Kammenos with the hackers that attacked the DNC, as he seemed to be directing the main intelligence team working for the Russian oligarchs. Some even suspect that Kamenos then forwarded the intelligence to capable operatives in his ANEL party who afterwards released the materials through Wikileaks. 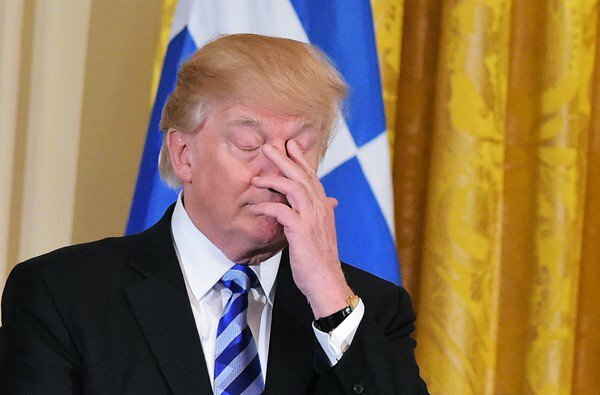 At a previous discussion with Greek Reporter, even the president’s chief advisor Steve Bannon expressed his discomfort for the matter that “there are too many Greeks in this White House!” The officials also recently broke the protocol of the White House as they organized a loud Greek party for their relatives and friends at the East Wing. “It is hard to believe that these individuals can serve the interests of the people of the United States as they are smashing plates Greek-style at the White house,” says the source who referred at a specific incident on March 26. The video below provided by the same source shows a Greek “bouzouki” band at the White House. Greek Reporter has not verified the authenticity of the video that shows indeed a Greek band taking over what it seems to be the entrance of the East Wing. The White House hasn’t commented on the issue as President Trump spends the weekend at Mar a Lago and Secretary Spicer downplayed the allegations as -of course- fake news. This time he was right, Happy April Fool’s day!